It may be raining and cold-ish in San Antonio right now but earlier today when the sun was still out, I had an awesome lunch on the patio at Sol Luna. First, I’ll start with this: If you have never had a chispa from Sol Luna, your life is not complete. Seriously. Sol Luna is on my top 5 list of best Mexican restaurants in San Antonio for more reasons than just the Chispa. Located on Brodaway, less than a mile inside Loop 410, it’s a super central spot for breakfast, lunch or dinner. Luckily this place is located very close to my comadre’s* house so we eat here more often than we probably should. The patio is back there behind those trees, plants and flowers- which offers a shady spot to enjoy an afternoon. 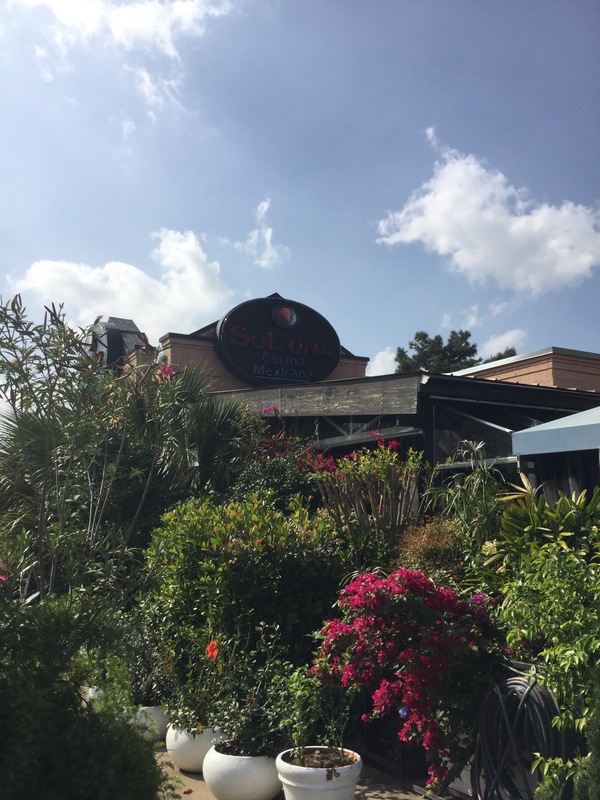 Sol Luna has a very big menu that offered everything from traditional Tex Mex to more traditional Mexican fair. Today, my dining partners had the cabrito tacos and cheese enchiladas with meat sauce while I had the Avacado Relleno. I’ve had quite a few things off of the menu and haven’t been disappointed yet. 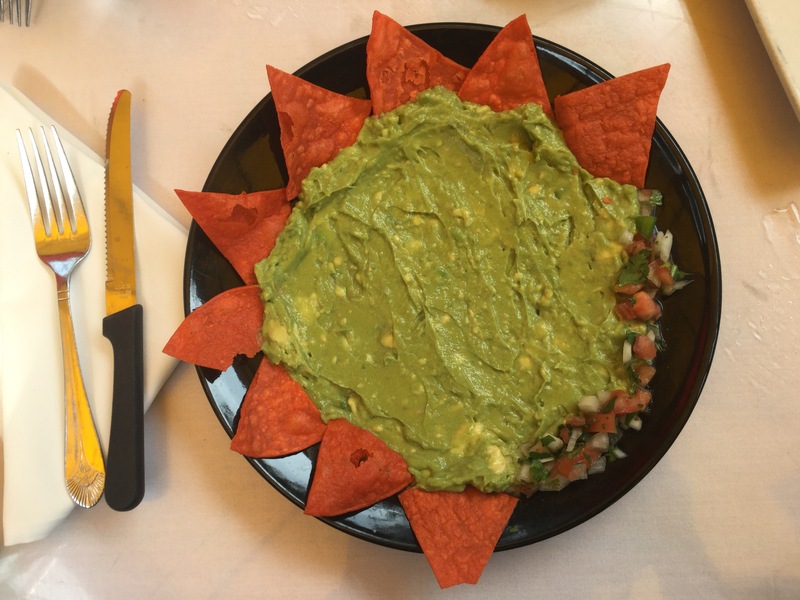 Guacamole appetizer with Pico de Gallo. When you go to Sol Luna, you must order a Chispa. It’s basically a margarita that packs a big punch. Some other things to know about Sol Luna: 1) If you’re in the mood, you can also catch Mariachi’s wandering around looking to play songs for you 2) On Sundays they serve a paella brunch 3) Their sister restaurant is El Mira Sol on Blanco (near Bitters) where the food is just as good and you can also get a Chispa. 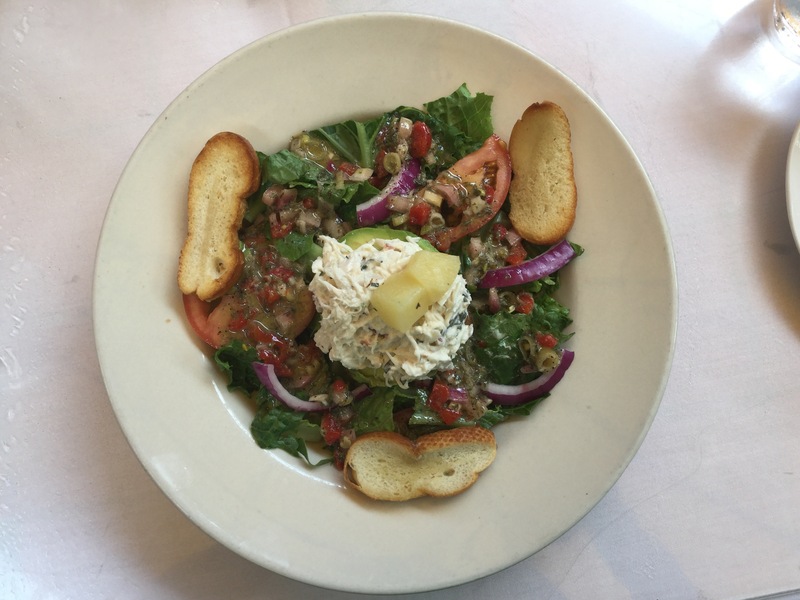 The menu offers more than traditional Tex-Mex food. This is the Avacado Relleno- stuffed with crab and shrimp salad and tossed with a light vinaigrette. 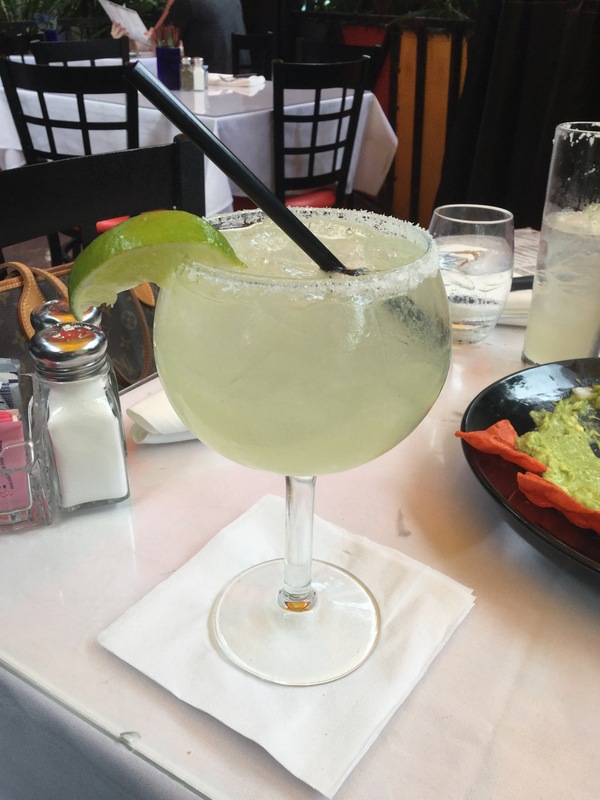 Pro-tip #1- I’ve said it already, but don’t order a margarita- order the Chispa. Pro-tip #2- Grab a seat on the expansive patio, especially on really nice days. It’s covered with lush plants and flowers so it offers the right amount of shade perfect for sipping drinks. This place can get busy on Friday and Saturday nights, so get there early. Did you know that they are opening a third location? It will be in the HEB Alon shopping center, and it supposed to open sometime this spring. I saw that on their website recently but thought it was a replacement for the Blanco location. Nice! Chispas closer to home for you now!